All you have to do is leave me a comment below, and in that comment name 3-5 previous posts on marketmanila.com (please INCLUDE link to those posts) that you would like to see more of in the months ahead. In other words, if you are partial to market forays, list those types of posts, if you like filipino recipes, stories about purveyors, etc. I am curious what readers find the most interesting or appealing… and will try to accommodate those preferences wherever possible. Please do only one entry per email address, and make sure your email address is a functioning one. Of all the entries, I will choose a random number and they win the prize. You may join multiple times if you have several valid email addresses. I can only deliver or have the prize picked up somewhere convenient in Metro-Manila, so if you are abroad, you can certainly join, but the basket has to be delivered to a relative or friend of yours in Manila. I will leave this post up for a week or so, so that the maximum number of readers will get a chance to join the giveaway… Good luck! Good thing one can’t gain weight by just reading your blog… or could they? First – thank you for coming up with such a blog… culinary infotainment and more! i like to read most of your posts related to food but am really interested in anything BBQ/GRILL/INIHAW/etc…so here are 3 posts which i really enjoyed – looking at the pics and reading the whole post. Produce and travel posts drive me nuts. 2. http://www.marketmanila.com/archives/iranian-beluga-caviar – similar principle as to the entry above. 3. http://www.marketmanila.com/archives/marketmans-carry-on-bag – I found this so interesting because these are all everyday items, yet so classic and understated. Love leather. Also, fountain pens! Started getting into them this year and would love to hear stories about the ones you have (it sounds like you have a lot of stories :) ). 4. http://www.marketmanila.com/archives/marketmans-credit-card-series-2011-part-i – this was so useful. Now that I have a card, I’m so careful with how I use/pay for it. Maybe an update? below are my fav’s: baking, setting/flowers, travel (my fav are those with charity works like one below) and of course market /produce! I love your pork posts and those that help your viewers recreate those yumminess at home. – I practically cried after my first bite of Zubuchon’s crispy skin. – I just love your documentation of your kitchen experiments! – Such glorious shots or the meat. my son is vegetarian so i love your posts for vegetables! i frequent the saturday and sunday markets since i live in makati, and have always struggled with bringing home those plastic bags that cut into my fingers. I would love to have the vizcarra basket trolley in tow. what a beauty! 1. You inspire the public to be more curious about ingredients/produce and this is one where I benefitted due to your post. I had bought a packet and didn’t know what to do with it. 2. Rants turn off some due to the tone, but you are doing a public service when it is well-argued and justified. 3. Book reviews whet one’s appetite for going further. You write so evocatively its just like talking to a favorite foodie pal! 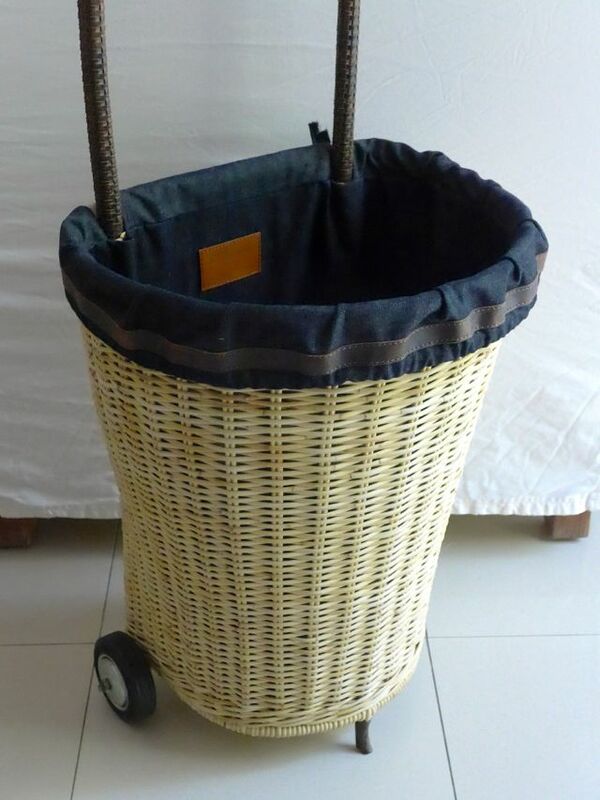 The basket looks like an improved version of the plaid shopping trolley that lolas wheel about in Hong Kong. 3. Food Chronicles, whether it be Lechon which gave rise to Zubuchon or Chicharon. http://www.marketmanila.com/archives/south-africa-10-five-life-changing-minutes-in-the-bush – This post should win some kind of award, just saying.. I love the entries on Barcelona, Paris and Morocco. But my favorite is the entry on Miniloc (would like to go there someday!). My favorite kind of blog post is when you share recipes. These posts came to mind because they’re the recipes I’ve already tried to cook and plan to cook in the future. Been a long while since I posted. 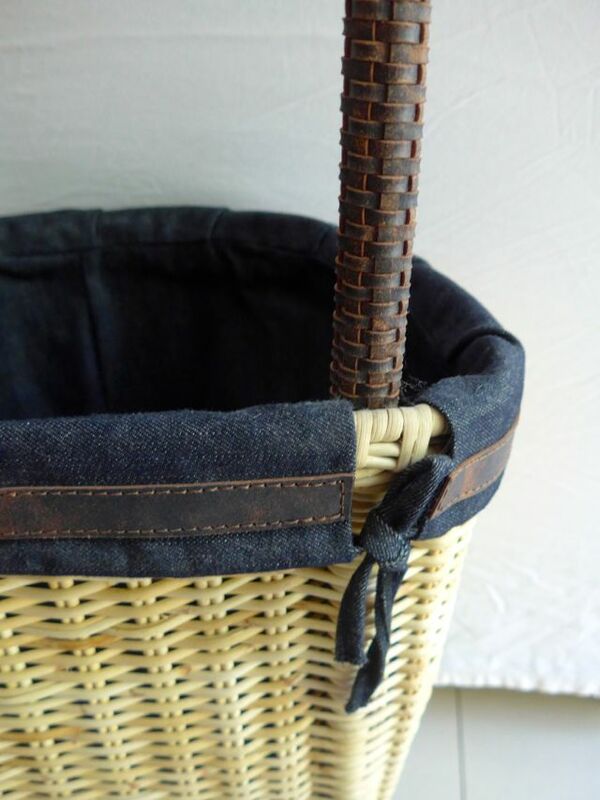 Don’t have any interest in winning the basket but would like to add my “vote” for future posts. But not just any recipes. Local stuff and “long lost traditions” of doing things (e.g. using just rock salt instead of soy sauce). Some have suggested above about food+ travel but how about you do an Anthony Bourdain and travel around the Philippines and sampling the less treaded paths? Food reviews of restaurants in urban areas is fine an all but everyone and their pet dogs are doing that already. I know it can be a pain but I also love a good post on food charity work. Love seeing local produce esp. those that I don’t have a clue what they are! Next…local travel! Your post on Coron/ Higantes Island! Hope to visit it in the very near future. MM …so sorry! Too difficult to type with one hand and left hand for that matter! kaya mahaba to type the link! I have always enjoyed the recipe entries most especially the ones that compare and contrast different methods, techniques and ingredients for a particular recipe. I Find articles comparing different brands of products very helpful and informative. I really enjoy your forays into the markets, both foreign and domestic! But also your social commentary. I especially love your posts on adapting locally available ingredients and adapting them to mouth-watering international recipes. The langka salad below is not necessarily an international recipe but it is one of my favorites and uses a ubiquitous and inexpensive fruit/vegetable and elevates it to new heights! I enjoy all your posts, MM. Be it travel, rant, market finds, food, recipes, etc. I hardly comment on blogs, but MM has been a favorite ever since I stumbled on this site while searching for roasted bone marrow recipes. I read 97% of the entries, and comments here, as they are usually informative and helpful. Betty Q’s recipes, I collected and printed out, though I haven’t made her chocolate cake yet. When you write about what matters to you, e.g. your outreach programs and post-Yolanda efforts, those are the posts that really move me. 3) When you obsess about food: my mom was on the hunt for old-fashioned ensaimada so this was perfect! I love reading about food experiments! I like the posts about Filipino ingredients and cooking. I love to learn about stuff that I have never heard about before, even if the cooking here has some similarities – european tradition mixed with tropical ingredients and climates. Leticia, hahaha, yes, this would be PROBLEMATIC to send to Brazil… but thanks for dropping by, it still amazes me where people tune in from, and for what varied reasons to boot… I feel like I have “family” members in all corners of the globe! Thank you for all you do, and sharing them with us, MM! I made the dayap and pili tart yesterday, Mr. MM! I’ll get to taste the fruit of my efforts this afternoon. Did it the old fashioned way using my good old mortar & pestle and wire pastry cutter. It was hard work, but fun! Hope the taste won’t be affected much. I love your posts of taste tests, like this one http://www.marketmanila.com/archives/an-abundance-of-more-classic-ensaimadas amongst others. It’s not that I don’t enjoy following along on your international travels, but it’s much harder to find unsponsored and unbiased (by that I mean the bloggers have not been reimbursed or provided goods for free) information on areas in the Philippines, so I really look forward to reading your take on different areas. Best of them all are your outreach programs and the likes that really move me… eg the no.1 in my list. More power to you MM! GOD bless. 2. http://www.marketmanila.com/archives/marketmans-credit-card-series-2011-part-i – i like relevant and thorough information about local things that aren’t really common knowledge. I’d like to see more posts on using cheap local ingredients as substitutes for imported ingredients needed in international dishes, and hopefully another eyeball where i can attend already. Thanks MM and more power to the site! I hope i win! I desperately need that basket trolley. I also enjoy reading about your outreach programs. Have a great weekend, MM! Pork, pork, pork… I’m a big lover of pork so I’ll focus on your posts on pork. This is a must stop for me whenever I visit New York. I love the crunch of that pork skin. Visiting Cebu and tasting this glourious lechon is on my bucket list. This year, I will surprise my guests by making Lechon de Leche for Thanksgiving. Thank you MM for all the wonderful posts you’ve been sharing with all of us. i always look forward to your table settings and flourishes, wanting me more to invest on fine cutleries and chinaware. i admire your generosity, you’ve been a blessing not only to your staffs and crews but to many esp down south where most of your charity works took place. this one is very heart warming. MarketManila has been my opium of choice… whenever I am hungry, homesick, bored, excited… whatever I am feeling, MarketManila feeds all of my passion.. for food, flowers, fresh produce, markets. Everytime I open your site, I stay on for hours, just catching up on all the posts I have missed. Still trying to find a way to get email notices for your posts. 3. Flower shopping at Dangwa and decorating one’s home – I am a frustrated gardener and flower decorator. You inspire me and also frustrate me, that I can’t seem to find the right bargains and be as creative … :). This is my first time to post, and my way of thanking you for sharing your ideas, finds, and passion.